A tough Hong Kong cop's 16 y.o. daughter disappears in Pattaya. He goes to Thailand to find her and must deal with corrupt cops but an honest one helps him track down culprits involved in illegal organ trafficking. Mr. Wu, a Hong Kong movie star, is kidnapped by four unpredictable criminals disguised as police officers. Will he get rescued? Andy Lau ... Cheung J.S. Philip Keung ... Kong Y.W. Sau Sek ... Wan H.F.
JS Cheung (by Andy Lau), a Superintendent in Explosive Ordnance Disposal Bureau (EOD) of Hong Kong Police Force, went undercover seven years ago into the gang led by the most-wanted crime boss Peng Hong (by Jiang Wu). Cheung successfully uprooted the gang and arrested a few robbers including Hong's younger brother Biao. However, Hong was on the loose and he swore he'd be back for revenge. Seven years have passed and Hong kick starts his plan - a series of bomb attacks have sparked fear among Hong Kong citizens. To maintain law and order, Cheung must put Hong behind bars and he is ready to sacrifice his life to fight a tough battle with the ruthless bomber. I had the chance to sit down and watch "Chai Dan Zhuan Jia" (aka "Shock Wave") and must admit that it was nice to be in the presence of the gracious Andy Lau once more. I had not even heard of the movie prior to finding it. But seeing that this was a Hong Kong movie and it had Andy Lau in the lead, I needed no encouragement to pick it up and watch it. While the storyline in "Shock Wave" is nothing that haven't been seen already, then it was still a very enjoyable movie. Especially so since I used to live in Hong Kong, so it was particularly thrilling to see the Cross Harbour Tunnel being the focal point of the movie. 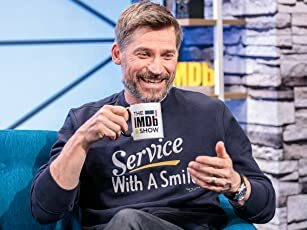 However, the storyline was rather streamlined, and there were no shock moments or surprises along the way, well aside from the ending - which I am not going to give away. But it was a story that headed straight ahead at 200 mph without any turns or climbs. 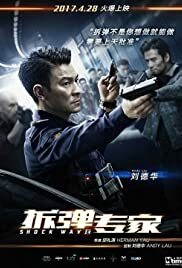 The acting in the movie was good, but then again Andy Lau is such a skilled actor that he masters many different genres, and he is no stranger to action movies. So it was no surprise that he carried this movie quite well. The characters in the movie were nicely detailed, and brought to life by an ensemble of different talents that each brought their own touch to the movie. There is a good amount of action in the movie, and that is supplemented by character build and interaction. So that made for a very wholesome movie experience. The downside to "Shock Wave" was its predictability. You saw things coming a mile away. But being able to look past that, then the movie was good entertainment and definitely a movie I would recommend that you take the time to watch if you enjoy Asian cinema.